Robin Skinner makes music by himself, in his bedroom, but his songs belong to the world. 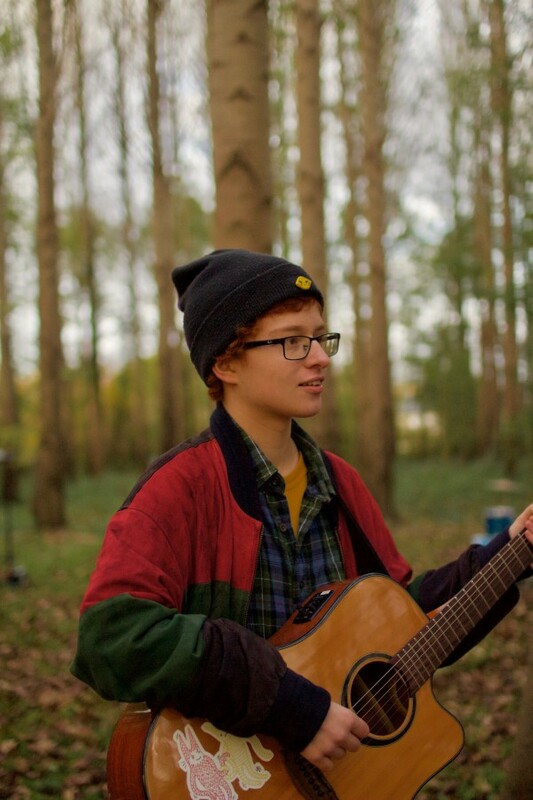 As the son of a professional flautist and Cambridge University’s director of music, the 19-year-old UK singer/songwriter—who’s performed under the name CAVETOWN since 2013—has musical talent literally embedded in his DNA. But all that underlying musical theory is nothing without the raw emotional underpinnings that can take a song from technically proficient to transformatively powerful. Marrying the two is what makes Cavetown so captivating and emotionally resonant with fans. They see themselves in Skinner’s music: tales of love and loss, of yearning to make sense of life and all the feelings that go along with it. For three minutes at a time, listeners feel less alone inside his songs, finding comfort in times of chaos and confusion. Cavetown’s fourth album, LEMON BOY, puts Skinner’s effortless, bright melodies and economic songwriting on full display. From the looping folk-pop title track (with an inventive music video that’s racked up 1.2 million YouTube views) to the uke-meets-electronica “Fool” and jazzy “888,” it’s an intimate, calming collection that displays a songwriting craft far beyond his years. Most importantly, it’s from the heart. Music is how Skinner copes with the challenges of the world, a way to funnel his frustrations into a healthy output. But he’s also determined to connect with listeners any way he can, including through his prolific YouTube presence: Some 300,000 subscribers have made his videos—from covers of songs by artists like Twenty One Pilots and Ed Sheeran to clips showcasing his pets—appointment viewing, to the tune of more than 10 million views. It’s all an extension of the songwriter who declares he just “wants to make music forever”—and with a magnetic personality and such universally relatable songs, he’s well on his way to achieving that goal and much more.